Treat Dad with a special Father's Day card on Sunday, June 16, 2019. Every dad deserves a special Father's Day card. Our colorful designs and thoughtful sentiments help you tell him how important he is to you and your family! Shop for the perfect Happy Father's Day cards for all the dads in your life. 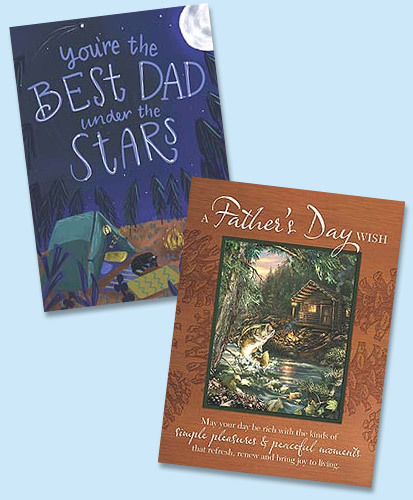 You'll find a wide range of cards from Christian to funny Father's Day Cards! Or create your own one-of-a-kind card when you choose a Personalized or Photo Father's Day Card — just look for the pencil icon . Looking for just the right Father's Day quotes, messages and wishes? Browse our suggestions for What to write in a Father's Day Card!